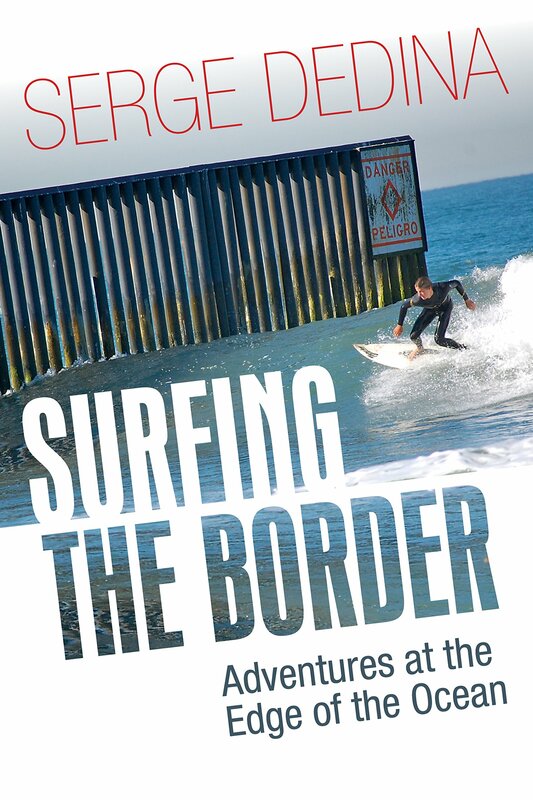 On the morning of June 13, three of my WiLDCOAST colleagues and I set out in search of waves on the southern coast of Oaxaca. Our planned conservation activities for the day had been cancelled due to the rainfall and wind forecast due to the presence of Hurricane Carlotta off of the coast. Unfortunately the wind was sideshore and the surf was blown out. This wasn’t a case where the Hurricane was creating great waves. However, we made the most of the 2-4’ point waves. After all, the water was 82 degrees, and every once in a while a fun wave would line up. After a few hours, a couple of surfers from Cancun showed up. 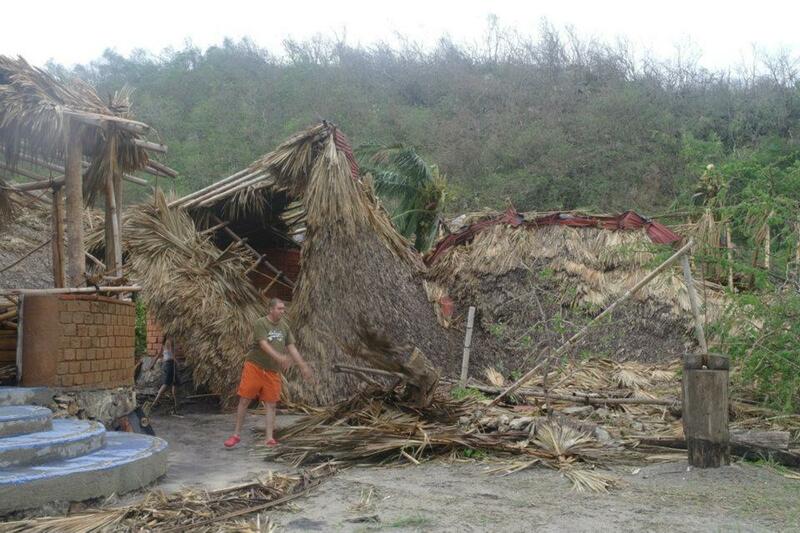 They were staying in adobe and thatch huts a couple of miles down the beach. “You guys know about the storm coming,” I asked them. Burrito barrel riding in Puerto. On the way back to Huatulco, we stopped in at Barra de la Cruz, famous for its world-class right point. My son Israel, 16, spent the week there with local surfer Pablo Narvaez and his family. A few minutes later Pablo and I arrived at the beach facing the point and were shocked to see 6-8’ shorebreak on the inside with 10-12’ waves hitting the point. The wind was howling. We chatted with Pablo for a bit. “In 1997, Hurricane Paulina really hit us hard,” he said. I hoped Carlotta wouldn’t be so bad. When we returned to Huatulco I was happy to find my good friend Daren Johnson and his son Josh waiting for us at the friendly Hotel Mision de los Arcos. They had been staying at some rustic huts at a spot further south. 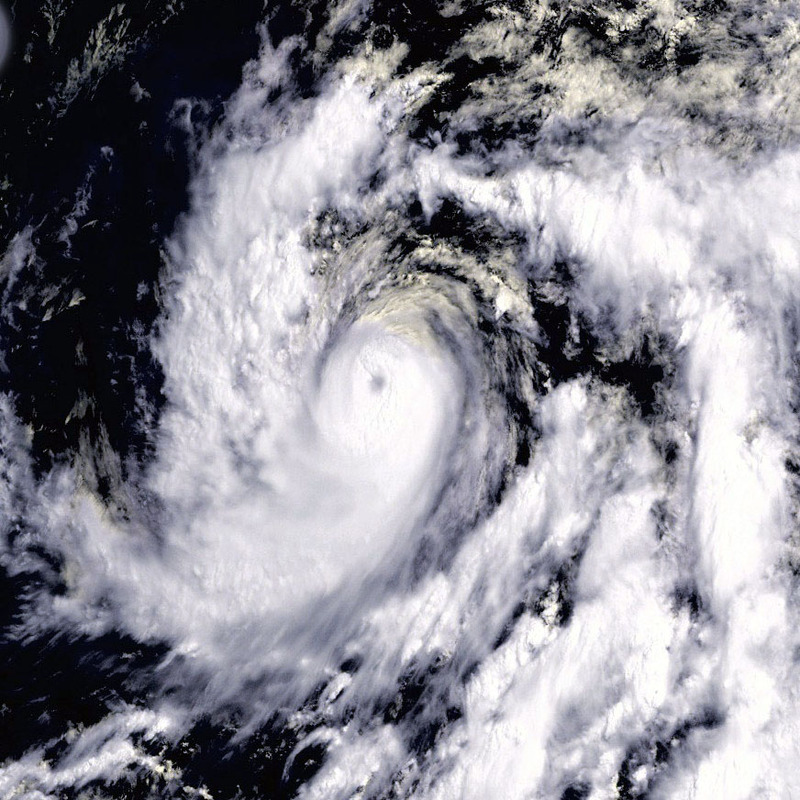 That afternoon the National Hurricane Center had upgraded Carlotta to a Category 2 hurricane. Winds were expected to reach up to 120 miles per hour. Later that evening, Israel and I gathered at a café on the Huatulco plaza with Daren, Josh and my WiLDCOAST colleagues Eduardo Najera, Ben McCue, and Zach Plopper along with a Swiss surfer-engineer who we had met earlier in the week while surfing. The wind started howling and the rain started pouring. An electrical post exploded across the street. After a round of tlayudas, we hit up the local ice-cream shop for paletas and headed back to our hotel to wait out the storm. “Since I have experienced a big hurricane in the past (Wilma, category 5, biggest hurricane in Cancún history) I wasn’t that worried. However, I forgot about the mountains and rivers that were behind us,” said Eduardo. The following morning the rain and the wind had stopped. We decided to check the surf. Cleanup crews were removing fallen trees from the roads. 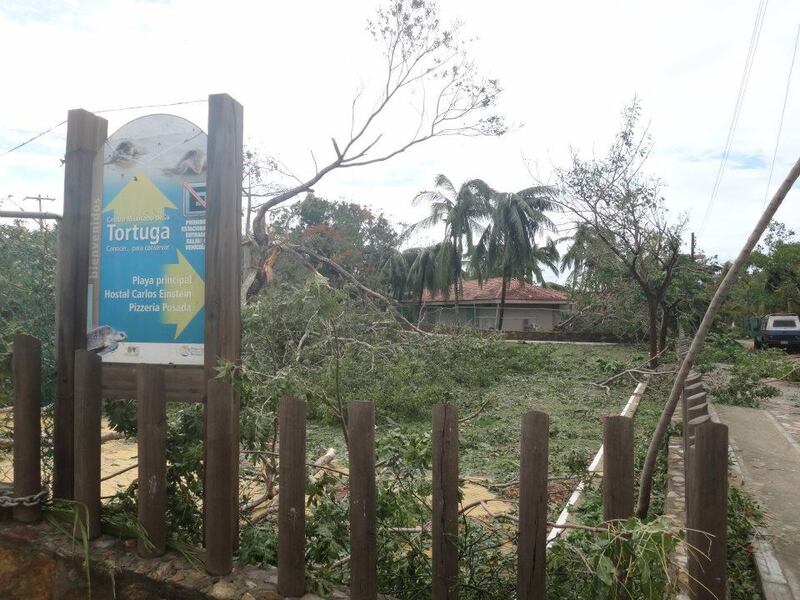 But overall in Huatulco, the damage seemed minimal. “Despite hours of build up and uncertainty Carlotta whipped through overnight fortunately not wreaking too much havoc in the Huatulco-Salina Cruz region,” said Zach. At the point from the day before we were surprised to see that the tremendous storm surf had dissipated. However, the waves resulted in local beaches losing up to six feet of sand, making it difficult for sea turtles to nest at some areas. Further north it was a different story. “The hurricane was really intense. My buddies and I didn’t really know what to expect,” said Anthony “Burrito” Zambrano, of Imperial Beach who had been in Puerto Escondido. 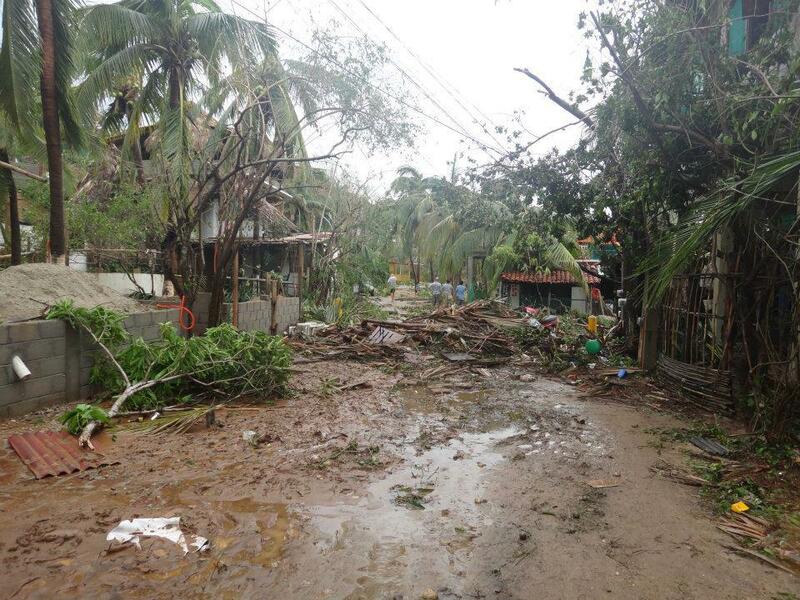 “Over 30,000 homes where affected from Puerto Escondido to Puerto Angel. Mazunte and the surrounding area was a mess,” said Dr. Carlos Rodriguez, a veterinarian with the Mexican Sea Turtle Center in Mazunte. 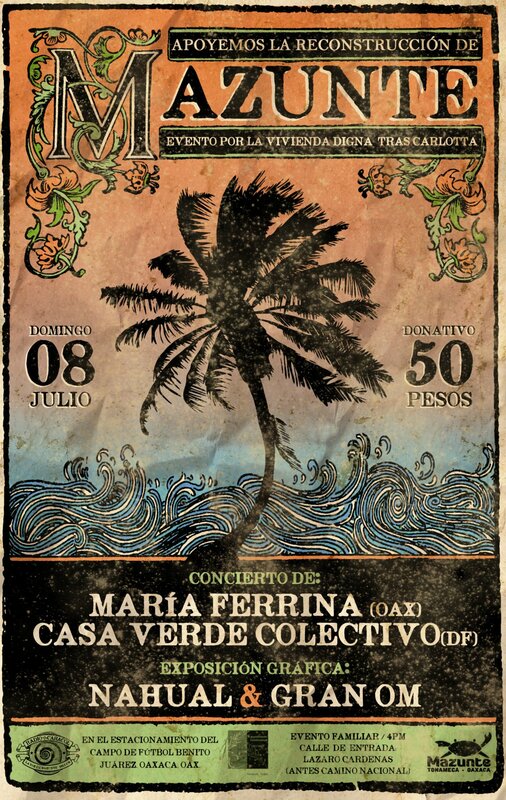 On July 8th, Mazunte will hold a concert to raise money for the reconstruction effort. Diane Castenada of WiLDCOAST has organized a fundraising effort to support those in need. Go here to donate.